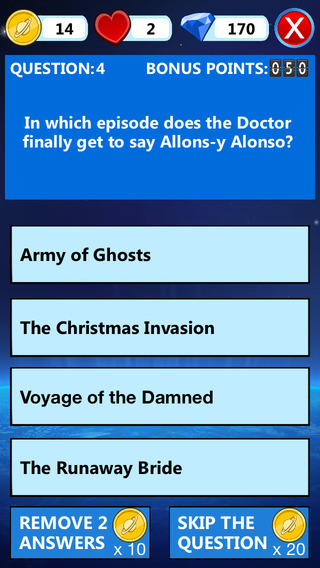 The ultimate Doctor Who Trivia app...Are you a TRUE WHOVIAN?!? 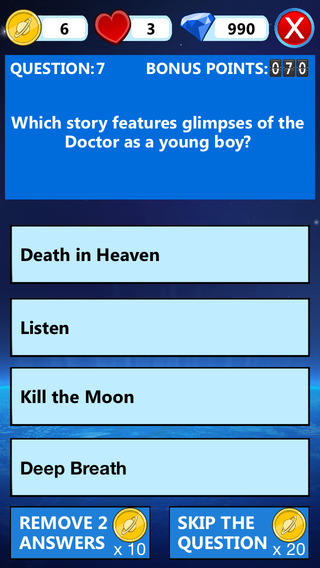 This app is will test your knowledge of Doctor Who, Do you really know as much as you think you do? 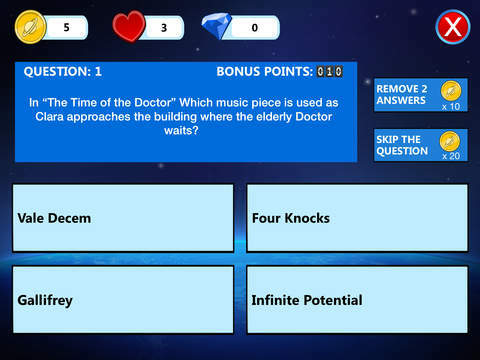 You have 3 Regenerations (lives), for each incorrect answer you will lose a regeneration. 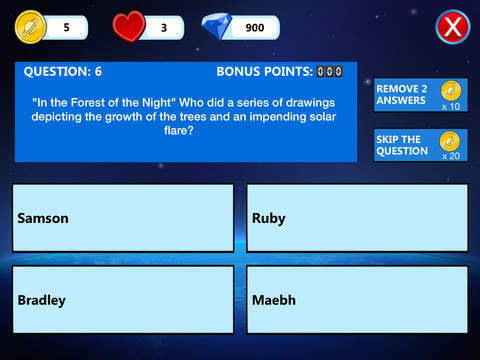 How many questions can you answer correctly before you lose the capacity to regenerate? 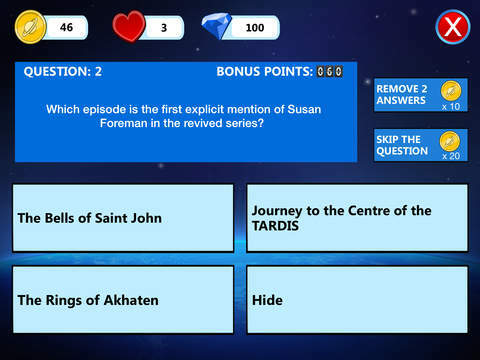 Like us on Facebook: http://www.facebook.com/IWHOVIAN for up to date news and exclusive information about upcoming updates. 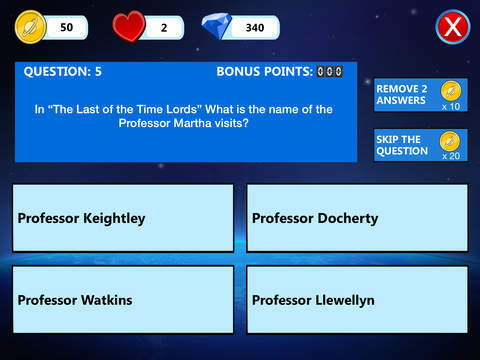 *PLEASE NOTE: The Classic Doctors need to be unlocked using in-app currency which can be earned within the game or purchased. 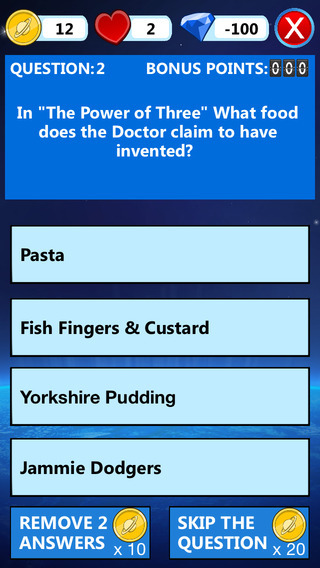 This application is neither endorsed or associated with the BBC. 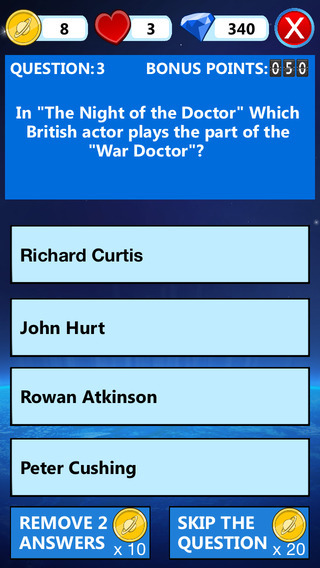 Doctor Who is copyright © British Broadcasting Corporation (BBC) 1963, 2015.